Croatia Coach Holidays [2019 / 2020] Book Today! Take a look at our choice of Croatia escorted coach tours and holidays! Our Croatia coach holidays and tours are designed for those wanting to visit as much as possible during their holiday. You’ll find a list of our coach holidays to Croatia below. En route, you will be accompanied by professional English-speaking tour leaders and enjoy expert guided tours of all main destinations in Croatia and the neighbouring countries. Please note these sell out fast and there are limited spaces available so enquire early to avoid disappointment! Join this grand tour of the Western Balkans, visiting magnificent UNESCO-protected sites of Croatia, Slovenia, and Bosnia & Herzegovina. You’ll be staying at comfortable hotels around Croatia and the region. Visit Zagreb, the UNESCO-protected Plitvice Lakes, Diocletian’s Palace in Split and Dubrovnik Old Town in one go and make great memories with your friends, colleagues or classmates! For those who want to take a step further, we offer coach tours, too; visit Croatia and Montenegro, and see beautiful Medieval cities and natural wonders. We give you an opportunity to explore beautiful cities and dine in fantastic restaurants with your new friends on your Croatia coach holidays! Join the Grand Tour of Four Countries if you want to visit as much as possible in Croatia and the Balkans. This fantastic 10-night coach holiday takes you from Croatia’s capital city of Zagreb towards Bled Lake and the city of Ljubljana in Slovenia. From there, you’ll return to Croatia and head to Split via the Plitvice Lakes National Park, one of Croatia’s most visited natural beauties and Zadar, famous for the remarkable sea organ. Your last destination in Dalmatia is Dubrovnik, the wonderful UNESCO-protected city boasting medieval city walls and historic streets. 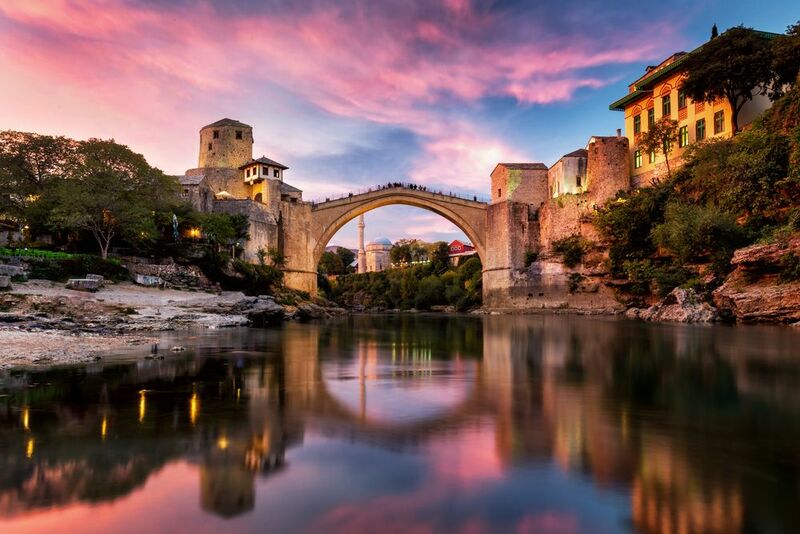 After Dubrovnik, this tour will continue towards the neighbouring country of Bosnia and Herzegovina, an exotic land with rich and interesting history, situated on the crossroads of East and West. Visit Mostar and Sarajevo, enjoy the guided tours and learn more about how the Ottomans once ruled over this beautiful country. Head to Serbia and its capital city of Belgrade after Sarajevo. Belgrade is a lively capital, with historic streets, archaeological sites and tasty food you shouldn’t miss! From Belgrade, you’ll return to Croatia via Novi Sad. Visit Osijek in the east of the country, situated by the Drava river, which has romantic river promenades and the fortified Old Town. Explore Slavonia and Baranya, sleepy regions of eastern Croatia full of tradition, breath-taking scenery, tasty food and world-class wines! This tour finishes in Zagreb, where travellers enjoy their group dinner before heading home. If you’re looking for a shorter tour, you should opt for our Croatian UNESCO Sites & Natural Beauties Holiday. Starting in Zagreb, this 6-night coach tour takes you to Bled in Slovenia, Plitvice Lakes, Split, Zadar and Dubrovnik. 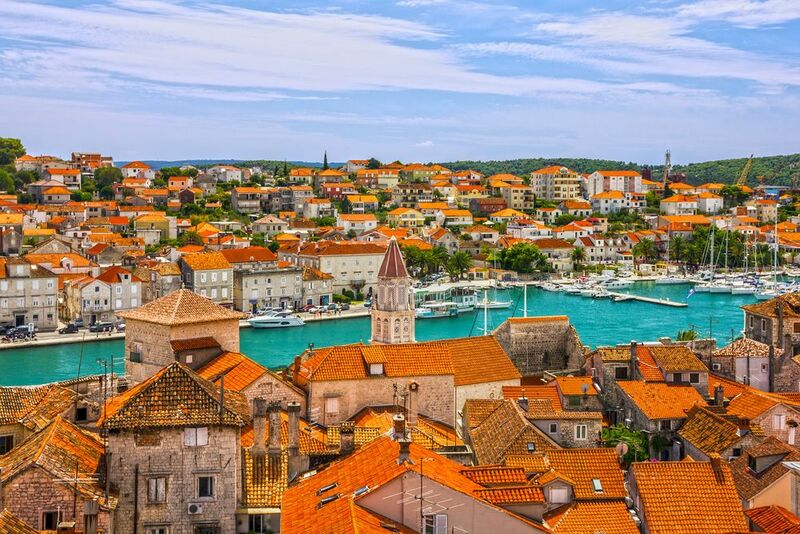 You can embark on an optional day trip to Korčula and Pelješac. 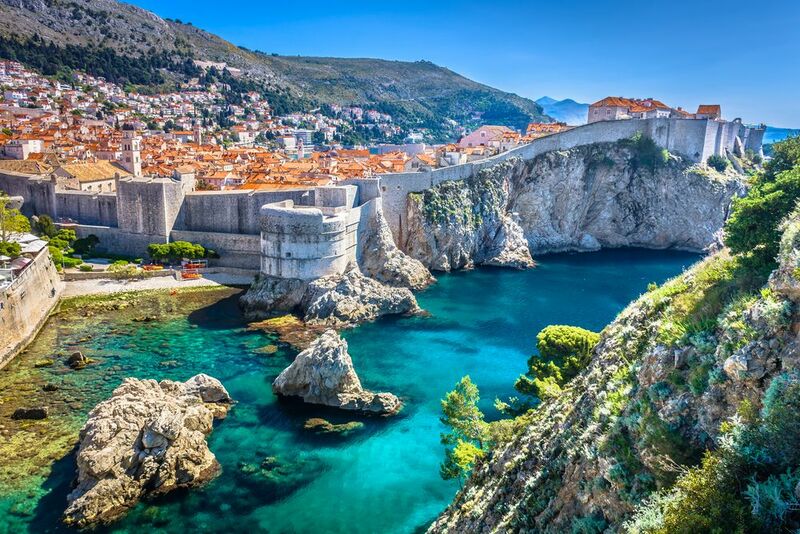 Our South Adriatic Explorer Balkan Coach Tour departs from Dubrovnik, taking you to the most interesting destinations in Dalmatia, Montenegro and Bosnia and Herzegovina. Explore the city of Kotor and magical Kotor Bay, cross the famous Old Bridge in Mostar and explore Diocletian’s Palace in Split.